On Saturday, September 15th the River Center is hosting the International Coastal Cleanup which includes a massive removal of litter and illegal dumping from our public spaces – neighborhoods, roadways, waterways, parks, schools, etc. 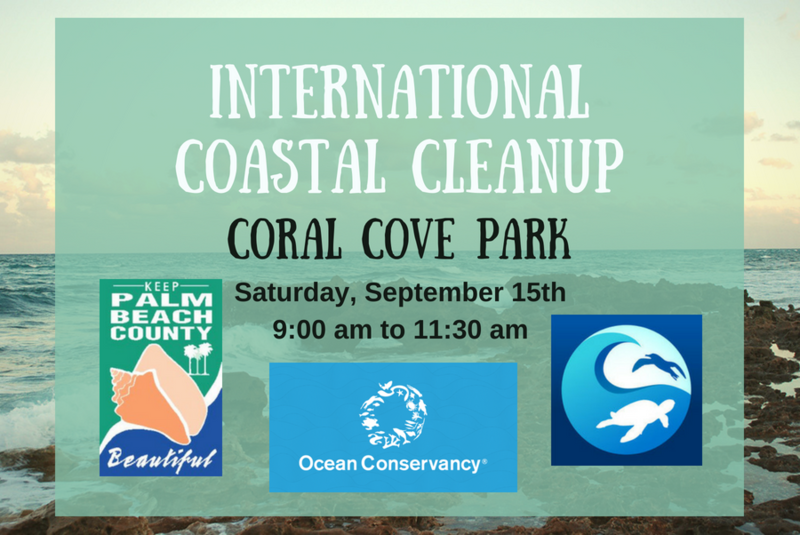 This cleanup will take place Saturday, September 15th from 9:00 am – 11:30 am in Coral Cove Park. Interested participants should bring a refillable water bottle, closed toed shoes, sunglasses, and a hat. Help us reduce our waste by bringing a bucket and garden gloves! First participants to the event receive a free t-shirt. Any interested participants please contact the River Center at 561-743-7123 or RiverCenter@lrecd.org.